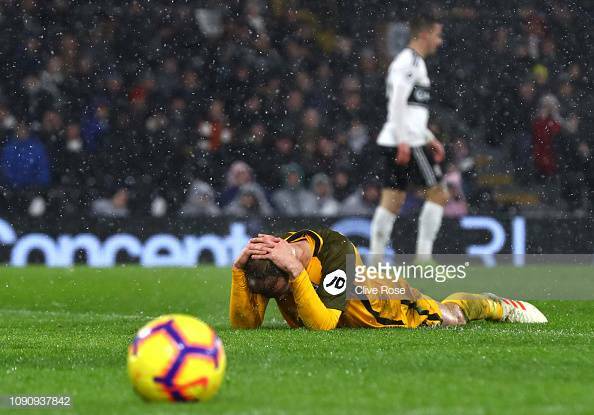 Solly March in action for Brighton vs Fulham image courtesy of Mike Hewitt on Getty Images. relive the action as Brighton throw away three points and end losing comfortably to a fabulous second half performance from Fulham. Thanks you for reading I've been Adam Stenning and until next time thank you and goodnight. Brighton could have conceded five or six in that second half, Fulham played well and deserved their win for their second half performance alone. Full time Fulham 4-2 Brighton- The Seagulls will be furious at dropping three points, but Fulham played tremendously well in the second half and get a much need win. 90+3- Vietto and Mitrovic get in two on one against Dunk and the ball goes to Mitrovic who fires over the bar. 90+1- Duffy's header is straight at the keeper. 83- Cairney nearly makes it 5-2 as his effort comes back off the frame of the goal for the second time in the space of five minutes. 76- Cairney hits an effort from outside the box, which comes off the post and Vietto taps in the rebound. 75- Gross is replaced by Florin Andone. 75- Bryan is replaced by Ryan Sessegnon. 73- Fulham turn it around as Bryan crosses it in for Mitrovic who heads home to make it 3-2. 71- Montoya puts in a great ball and Murray heads it, but it is well saved by Rico. 70- Locadia is replaced by Anthony Knockaert. 65- Mitrovic lays the ball off to Seri who hits an effort which comes back off the post. 57- Fulham are level, as Ryan comes out to claim a cross, but he comes to late and Mitrovic heads home to make it 2-2. 52- Vietto goes close with a strike from inside the box which goes just over the bar. 50- The corner is headed out to Stephens and his effort is just wide of the post. 49- Good play from Brighton, Gross turns floats in a cross to Locadia and his effort is blocked by Christie for a corner to Albion. 47- Fulham are in control of the half and are looking threatening and Brighton are struggling to keep them out. 46- Fulham are back in the game, as Chambers volleys into the net. Second half is about to get underway and Schurrle is replaced by Vietto. Half time Fulham 0-2 Brighton: A Murray brace has given Albion a comfortable lead, but they could have had more if Propper's effort and Murray's one would have gone in. 45- Brighton could have been 4-0 up quite easily and been home and dry at half time. 45- Murray is inches away from a hat-trick as he flicks Gross' cross inches wide of the post. 43- A Brighton free kick is cleared out and Propper unleashes a venomous striker which hits the crossbar. 23- Stephens is lucky to be booked for a nasty challenge on Schurrle, he could have been sent off and no one would have complained. 17- Both of Murray's finishes have been brilliant and Fulham will not want to give him any more chances in this sort of form. 17- Exactly the start Brighton would have dreamed of they have been clinical and find themselves with a comfortable lead early on. 17- The goal was a left-footed volley, but it was poor defending from Fulham. 16- March gets down the right and crosses into the box it's missed by Propper, but Murray is there to tap home and make it 2-0 with his first two chances. 11- Brighton seem to be in control at the moment of the game, they will be hoping to get a second to put the pressure on Fulham early on. 3- Brighton take the lead as Montoya crosses into the box for Murray who is finishes it well to make it 1-0. 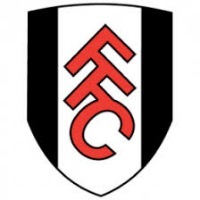 Fulham are unchanged from the side that were narrowly beaten by Tottenham: Rico, Odoi, Tim Ream, Le Marchand, Christie, Chambers, Seri, Bryan, Schurrle, Mitrovic and Babel. With just over 15 minutes till kick-off this is how both sides lineup starting with Brighton: Ryan, Montoya, Duffy, Dunk, Bong, March, Propper, Stephens, Gross, Locadia and Murray. Fulham are predicted to lineup as follows: Rico; Odoi, Le Marchand, Ream; Christie, Chambers, Seri, Bryan; Schurrle, Mitrovic, Sessegnon. Brighton are expected to lineup as follows: Ryan, Montoya, Dunk, Duffy, Bong, March, Propper, Stephens, Gross, Locadia and Murray. One good thing heading into the game is the fact that Brighton have won three successive league games at Craven Cottage, scoring twice each time. One player who will be key for Fulham is January signing from Besiktas, Ryan Babel who has added a extra threat to Fulham's attacking options. 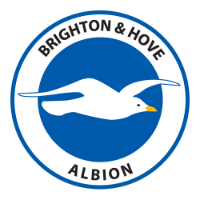 One player who will be key for Brighton is Glenn Murray, who has scored five goals in his past four league appearances against Fulham, including a brace in the reverse fixture. In the previous meetings between these sides Brighton have enjoyed massive success with Fulham being winless in the past six meetings, but they ended a five-match losing streak against Brighton with a 2-2 draw in September's reverse fixture. Fulham have no fresh injury concerns, but will be without Aboubakar Kamara, who is indefinitely suspended after an incident at the training ground. Andre-Frank Zambo Anguissa has returned to training, but will not feature. In terms of team news, Bernardo and Jose Izquierdo will be missing again, however Brighton will be boosted by the return of goalkeeper, Matthew Ryan who returned from Asia Cup duty with Australia. Fulham will be looking at tonight as a big game with them being five points adrift of 18th place Cardiff and with them travelling to Arsenal and Newcastle playing Manchester City, it will be a vital night for Fulham. Brighton head into the game looking to create an even bigger gap than the seven points between them and 18th place Cardiff City.